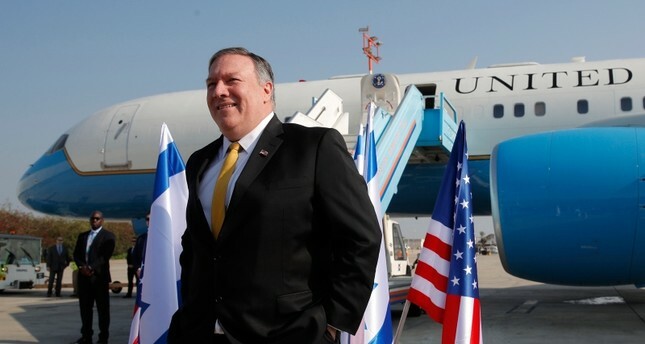 Maybe the most controversial remark by an American official was made by U.S. Secretary of State Mike Pompeo on Friday. God may have sent Trump to save Israel, he claimed, representing the evangelical leanings of the administration. “President Trump right now has been sort of raised for such a time as this, just like Queen Esther, to help save the Jewish people from the Iranian menace,” he said. “As a Christian, I certainly believe that’s possible,” the top diplomat added. Since Trump’s inauguration, the United States have taken more and more of a pro-Israel stance. Recognition of Jerusalem as Israel’s capital, withdrawal from the Iran nuclear deal and reimposition of the sanctions, and the last nail in the coffin, Trump’s heavily-worded statement on Israel’s so-called “sovereignty” over illegally occupied Golan Heights have worsened the things even more for American near east policy. Notably, the U.S. State Department last week officially referred to the Golan Heights as an “Israeli-controlled” territory. Previously, it had consistently referred to the region as “Israeli-occupied”. And last November, the U.S. — for the first time — voted against an annual UN resolution condemning Israel’s continued occupation of the Golan. While 151 countries voted in support of the resolution, only Israel and the U.S. voted against it.